Tomorrow the 30th of May is the last day to join as a Stampin’ Up! Demonstrator and receive an extra $60 worth of goodies in your starter kit. It’s such a great deal. At the low price of $169 you can become a SU! Demonstrator to either get all of your stamping products at a 20% discount delivered straight to your door OR to start your very own business where you use your creativity to earn an income. It’s totally up to you. Posted in Demonstrator Opportunity, My Team - The Midnight Inklings and tagged Adelaide Hills Card Making and Scrapbooking, Balhannah, card making easy, Carolyn Bennie, South Australia Stampin' Up!, stampin up, Stampin' Up! Australia. Bookmark the permalink. I’m on holidays with my family in Queensland after having attended an AMAZING few days at Stampin’ Up!’s 25th Anniversary Convention last week. Chris, the boys and I are having an absolute blast at Seaworld, Movieworld and later in the week Waterworld. Stampin’ Up! Convention was SO good. I think the best I’ve been to so far and it was actually my 5th so that’s really saying something. Lots of giveaways (I’ve got a lot of new stamp sets ready to get inked up when I get home), my head is bursting with creative inspiration and business tips, amazing new friendships formed and existing ones strengthened…. And I danced my feet off at the new Awards Night After Party – oh my goodness was that ever an awesome party! Next year Convention will be held in Melbourne from the 22nd until the 24th of May – I’d love you to join my team the Midnight Inklings and come along and experience 700 plus women enjoying what makes them happy… STAMPING! Email me or call me on 0401 857748 to chat and find out more information about all the perks of being a Stampin’ Up! Demonstrator, the great business opportunity that you might be looking for or simply the 20% discount on all Demonstrator purchases. When I get home to South Australia I’ll be back to normal blogging with more photos and ideas from Convention but I wanted to share with you ASAP my Convention swap (a card front you swap with others – that way you end up with lots of samples of others work, techniques and inspiration). I hope you like it!! There is a special feather on it called a Hymn Book Feather and the card is made using the technique Emboss Resist. Do you love my feather? Like to know how to make the feather and card? Leave me a little comment lovin’ to let me know and I’ll put a little tutorial together. Remember to Like and Share my business Facebook page too as I update this page almost daily with all things stamping. 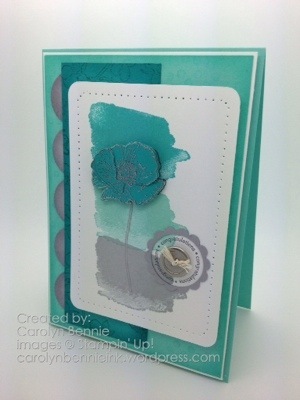 Posted in Cards, Demonstrator Opportunity, Family, My Team - The Midnight Inklings, Shares, Stampin' Up! Events and tagged Adelaide Hills Card Making and Scrapbooking, Adelaide Hills Craft, Australia Stampin' Up! Convention, Beginner Card making, card making easy, Carolyn Bennie, Emboss Resist, Handmade Cards, Hymn Book Feather, South Australia Stampin' Up!, stampin up, Stamping Organisation, stirling. Bookmark the permalink. Lynne Jones – A beautiful friend and member of my Team the Midnight Inklings made this last Christmas for me and I didn’t get a chance to share it with you all, so I thought I’d definitely have to share it this year. It’s a handmade (with Stampin’ Up! Designer Series Fabric) Sewing kit bag. It’s SOOOO beautiful and very much cherished by myself. Posted in Christmas, My Team - The Midnight Inklings and tagged Adelaide Hills Card Making and Scrapbooking, Adelaide Hills Craft, Carolyn Bennie, South Australia Stampin' Up!, stampin up, Stampin' Up Demonstrator. Bookmark the permalink. Sorry for being MIA lately. I’ve been just so sick with a horrible flu and then of course all the troops got it as well. While there is still a lot of coughing and the chemist is still getting lots of our money on medicines… there does seem to be a bit of improvement. Here’s one of the cards I made in my teams recent cyber stamp. I love this style of card and I spotted the original layout on Pintrest although this card is very different to the original starting point. 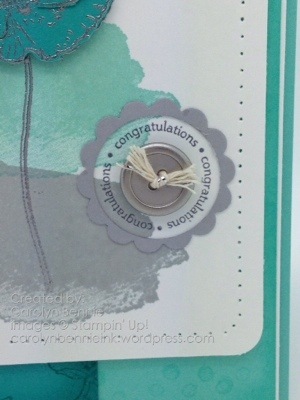 Lots of things to like about this card and two of my personal favs… buttons and Crumbcake cardstock. Not to mention beautiful retro DSP Twitterpated and lace ribbon. LOVE. Hope you and yours are well where ever you are. Posted in Cards, My Team - The Midnight Inklings and tagged Adelaide Hills Card Making and Scrapbooking, Australia Stampin' Up! 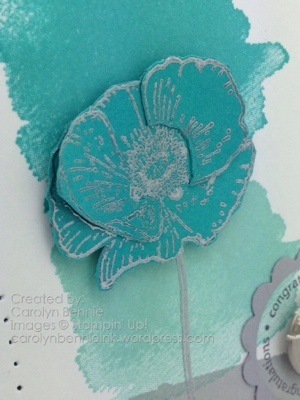 Convention, Beginner Card making, card making easy, Carolyn Bennie, Handmade Cards, South Australia Stampin' Up!, Stampin' Up Demonstrator, Stamping Organisation. Bookmark the permalink.